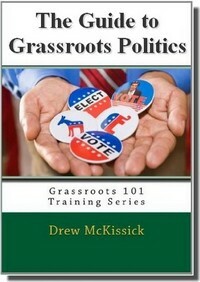 Home » Grassroots Tips » Are You Building the Political Farm Team? Most every professional baseball player that you see has spent time in the minor leagues before they got a chance to play in the big leagues. Nobody lasts forever, and eventually somebody has to move up and take someone else’s place. It’s why teams spend so much time and money recruiting and developing new talent. It’s called the farm system, and it’s the same way with politics. Most elected officials have spent time in the political version of the minor leagues – local grassroots organizations, party organizations, civic groups, school boards, etc. 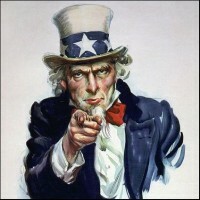 Players at this level are usually “recruited” to run for office at higher levels, or to work in campaigns or as government staffers. While you have surely seen local activists go on to become leaders or even elected officials at various levels, what’s not always evident is the recruiting and training of the volunteers that made their campaigns successful – and the past leaders that recruited them to the cause. Politicians come and go, but politics is forever. All too often people allow themselves to get distracted by national issues, or what’s going on in Washington, DC and they overlook what’s going on right in their own neighborhood. As a result, they miss opportunities to leverage their activity and have a real impact on things they care about. The fact is that local politics is the training ground for everything else. It’s the farm system. Practice at this level prepares you for the next. Participation builds the network of conservatives who can collaborate together on a state and national basis. Fundamentals are learned. The result is that thinking locally serves two purposes: 1) it focuses and leverages attention and resources to have an impact on things that impact where people actually live and 2) it builds a healthy farm team for the conservative movement. Politics is a game of numbers – whoever has the most usually wins. It’s amazing how many people overlook that fundamental point. As a result, one of the most important functions of any grassroots activist is to recruit others to their cause by identifying those who share their beliefs and concerns. But the job doesn’t end there. It also involves teaching those like-minded citizens how to effectively engage in the political process and remove the mystery that surrounds it for most people. The more knowledge a new recruit has the more confidence they will have, the more likely they will be to actually do something, and the more effective they will become. As Yoda put it to Luke Skywalker, “Pass on what you have learned”. This process is even more important for grassroots leaders. You can’t be much of a leader if you don’t recruit…and you can’t be sure that whatever you do will go on without you (because eventually you WILL be gone) if you don’t focus on replacing (or even multiplying) yourself. There’s an old saying in politics that, “You can’t beat somebody with nobody”. In other words, if you don’t have a candidate, or better yet, a candidate who is viable based on experience, exposure, network and resources, then you you’re probably not going to win. To beat the “somebodies” on a regular basis, you need a deep bench. And you only get that with a good farm team. That’s why every good leader should work to identify and train the next generation of leadership. The success of the conservative agenda hangs on bringing new people into the process, and then promoting them up the ladder and grooming new leaders and potential candidates. Take a moment right now and make a note of anyone else who needs to get involved with you, or who might have leadership potential. Then make plans to reach out to them soon.